Electric heating plate (Hot Plate) is a device of heat to make the temperature of the material in the heating effect of the current generated by the increased. Many electric heating plate with rotating magnet the magnetic stirrer (stirrer) rotation, so that the solution stirring, therefore also known as electromagnetic stirrer. The surface of the electrothermal board usually ceramic plate, suitable for heating glassware. Heating, can also be used magnetic stirrer to stir, to accelerate the reaction. 1 electric heating plate when in use, first to be heated object on the floor. 2 temperature control and stirring speed adjusting button at the same time, first to zero. 3 turn on the power switch. The 4 rotation control knob, first at low temperature, and then the required temperature, slowly rise. From LOW, MODERATE to HIGH. or from 1,2… . slowly increased. The 5 rotating stirring speed adjusting knob. 6 after use, the temperature regulating knob, stirring speed adjusting knob and a power switch off. 1 of the surface of electric heating plate is a ceramic plate, heating the appearance does not have no obvious change, so take should first hand close to the surface in order to ascertain whether the warm surface, if there should be careful about the operation temperature. 2 electric heating plate when in use, the surface splashes into the chemicals should be cleaned immediately, otherwise the matter carbonizing heating after very difficult to remove, will also hinder the heating uniformity. 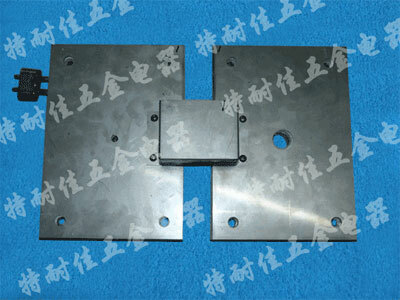 3 is usually only a container with electric heating plate. The 4 magnetic stirrer is a Teflon (PTFE) columnar magnet coated. 5 turn off the power, is still very hot, be careful, avoid scalding.